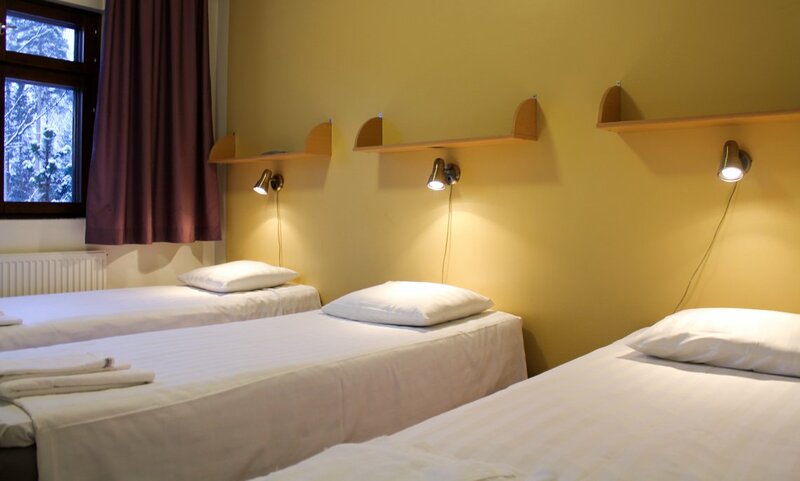 The apartments of the Hostel are suitable for those seeking more affordable accommodation. 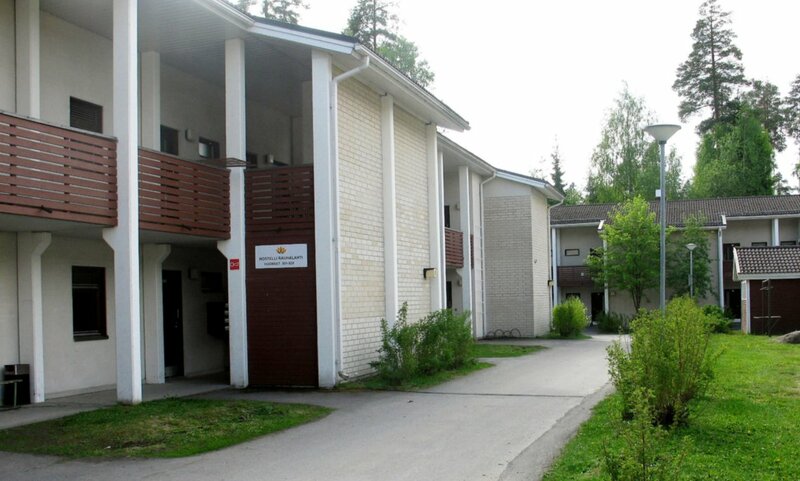 The hostel is situated 150 metres away from the Spa Hotel. 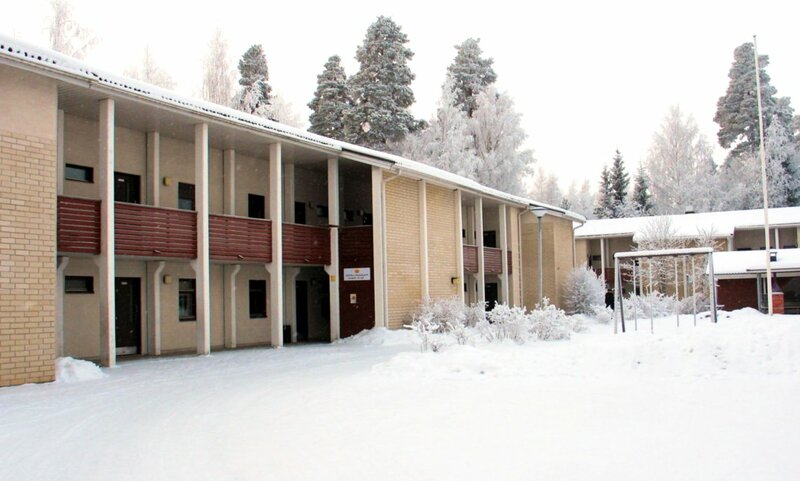 It is a two-storey building with two-bedroom apartments and three-bedroom apartments. 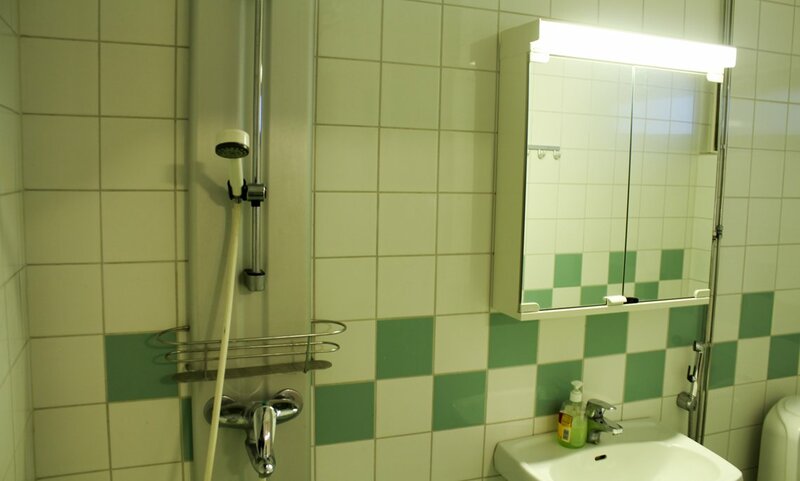 You can either book one bedroom in the Hostel (in which case the kitchen and WC/shower are shared with other guests), or an entire apartment. Pets are allowed in certain designated apartments, provided you have booked the entire apartment. The hostel apartments have WiFi. 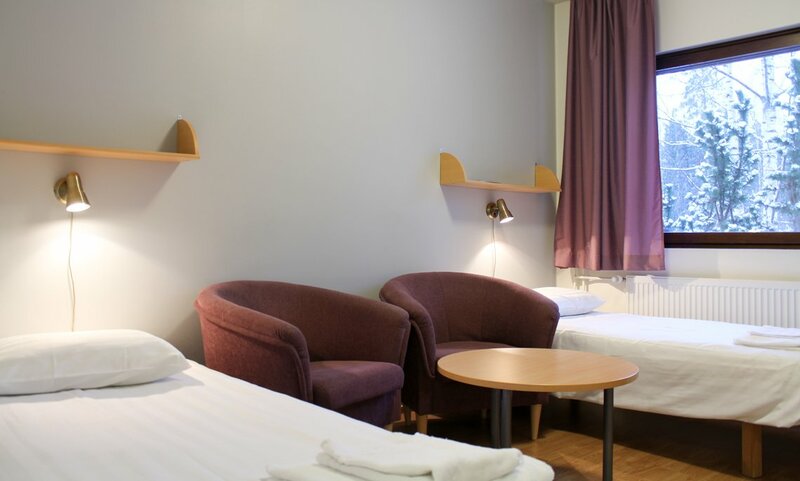 The Hostel offers special rates for longer stays. 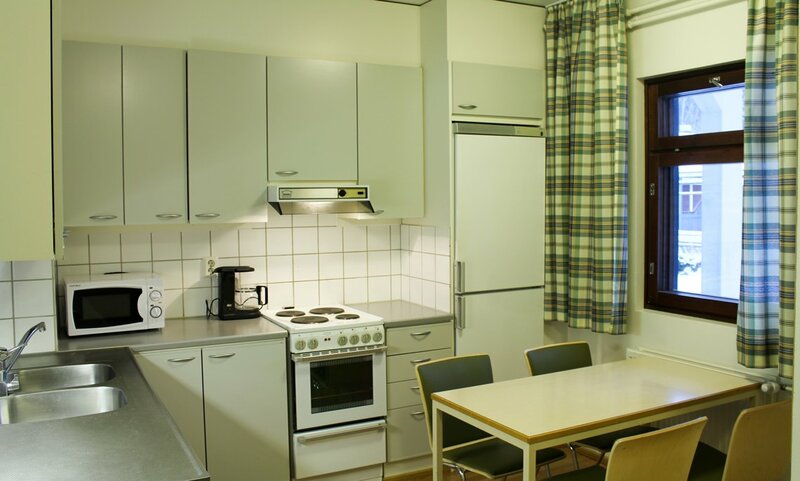 Hostel apartments are available until 12.8.2019. 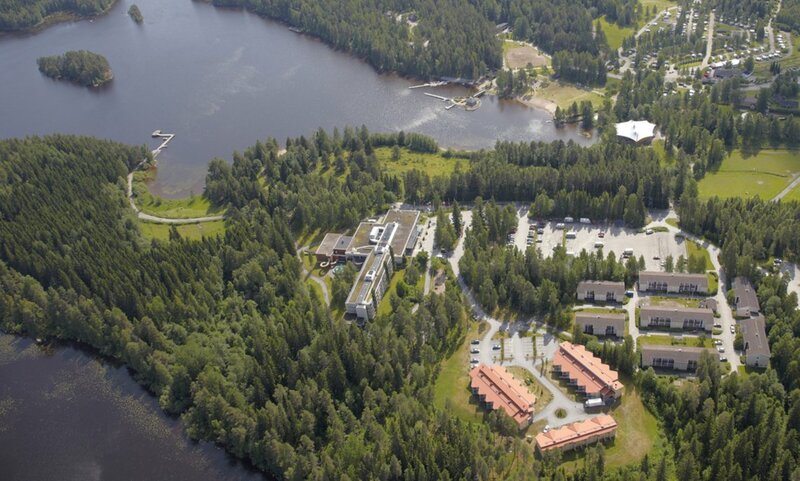 In the hostel apartments there is no internet access. In the hotel's reception there is a small office room where is a laptop (internet access, WiFi) and a printer. The use of this room is free. 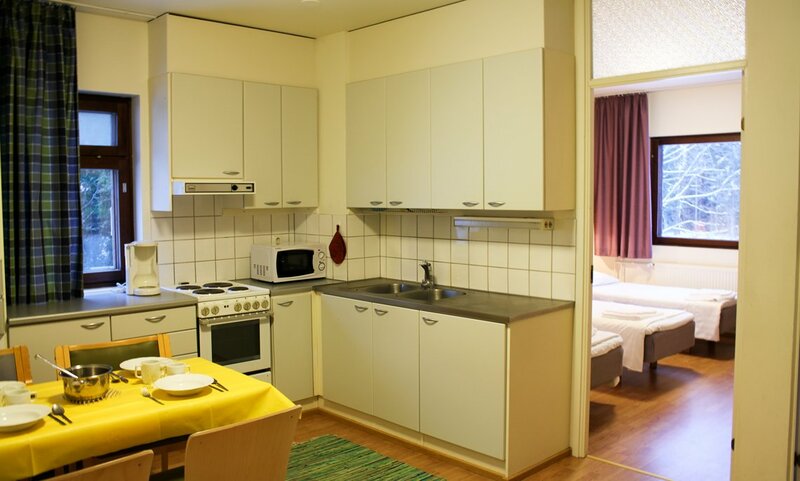 Besides three bedrooms, each hostel apartment has a kitchen with cupboard and WC/shower. One of the bedrooms has three beds, the other two beds (totally 5 beds). Baby cot on request. Linen, towels and cleaning are included in the price. 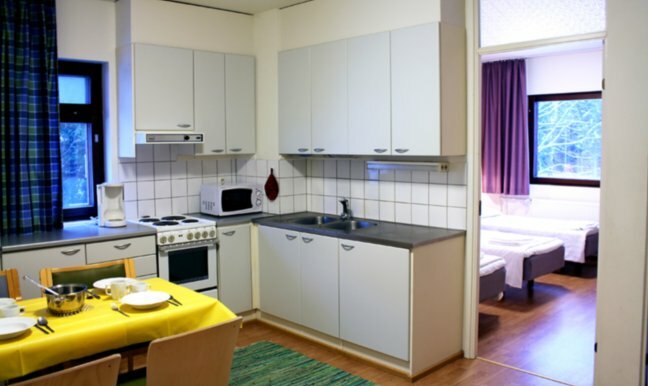 Besides three bedrooms, each hostel apartment has a kitchen with cupboard and WC/shower. One of the bedrooms has three beds, the two others two beds (totally 7 beds). Baby cot on request. Linen, towels and cleaning are included in the price.